Offering you a complete choice of products which include galvanized enamelled coupler, black enamel couplers and internally threaded couplers. 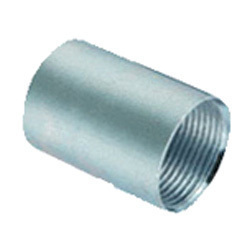 We are occupied in providing a broad range of Galvanized Enamelled Couplers. These products are made by professionals under the guidance of well trained professionals in compliance with universal industry norms. These products are extremely utilized in the market owing to their longer life service. Our products are obtainable in diverse specifications that meet on industry standards. 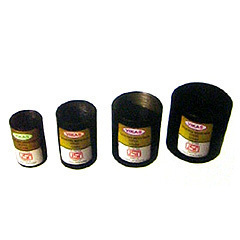 We are occupied in offering a broad range Black Enamel Couplers. The offered products are broadly utilized in the market owing to their sturdy nature. To uphold the quality, our offered products are checked by quality controllers on various parameters. Moreover, we assure our clientele the punctual delivery of this product at low prices. 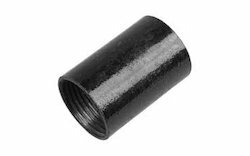 Our product Internally Threaded Couplers are provided in Black Enameled variant. Its dimensions and designs are in accordance with IS:14768 Part II, and it is tested to allow compliance with the performance, when fitted with conduit according to IS:9537 Part II. Looking for Enamelled Couplers ?